CanadaVet.com Blog: Would my pets benefit from taking vitamins? A growing trend has recently been emerging with more and more pet owners now giving their pets vitamins or supplements to improve their health. The benefits of vitamins for humans have long been known, but it is not until recent years that we have passed these benefits on to our furry friends. A recent survey found that 41% of owners are now giving their pets vitamins or supplements in some form to assist with a range of different ailments, from aiding in recovery to boosting their general health. Astonishingly, the survey also found that a small number of owners had been giving their pets human vitamins, which is something that should never be done. Pets should never be given human medicines of any kind as they have been specially formulated for the needs of humans. In some cases, human vitamins or supplements can even be toxic to pets. 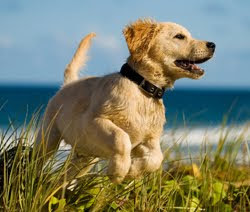 Instead, there are many great vitamins and supplements on the market designed specifically for pets. There are vitamins to provide joint support for pets with arthritis, vitamins to maintain healthy skin and coats, vitamins to reduce nervousness and anxiety, and vitamins to maintain gastrointestinal health, and much more. For this month only, CanadaVet is giving their customers 30% off their entire Vetalogica vitamins and supplements range with the purchase of any flea or tick control product. Just use the coupon code "FLEAPLUS" on the checkout page when making your purchase. Click here for more details. You can view our full range of vitamins and supplements for pets by clicking here.